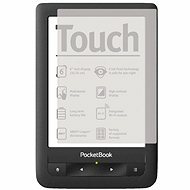 High-quality screen protector film for Nook Simple Touch (and Nook Simple Touch with Glowlight Lighting) electronic book reader. 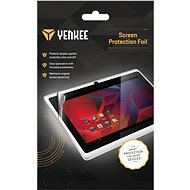 With this reliable film, the reader display, which is the largest and most vulnerable part of the device, can be effectively, simply and elegantly protected. 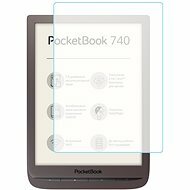 In this way, the reader display can be perfectly protected from scratches and other damage that can occur through daily hustle and bustle. If the film is damaged or worn over time, it can be removed and replaced with a new one. For shipping to other EU countries visit this page Amazon Kindle eBook Screen. Für Versand nach Deutschland, besuchen Sie bitte Screen eBook Amazon Kindle. Chcete doručit zboží do Česka? Prohlédněte si Screen eBook Amazon Kindle/ Pocketbook. Chcete doručiť tovar na Slovensko? Prezrite si Screen eBook Amazon Kindle. Für Versand nach Österreich, besuchen Sie bitte Screen eBook Amazon Kindle. Magyarországra történő kiszállításért tekintse meg ezt a termékoldalt: Screen eBook Amazon Kindle.